Nick Hancock (GB) is planning on spending 60 days on Rockall. He is aiming for the longest solo occupation of the rock and the longest occupation outright. His attempt also aims to raise money for the UK charity ‘Help for Heroes’. Nick has been plugging away at this project for some time, slowly and steadily making it a reality. Sponsors have been slow to materialise but he has had some good news along the way. 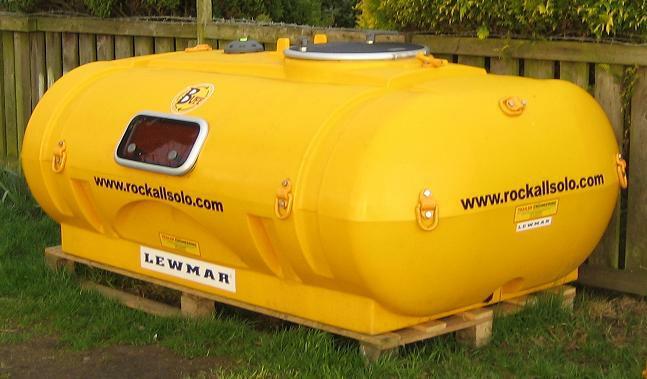 His most recent milestone is the completion of his 'RockPod’, the custom designed and manufactured structure that he will call home while on Rockall. Nick’s website is at rockallsolo.com. He’s also active on twitter and facebook. He is still in need of funding to complete his project target, so if you have a few quid spare, all the better. He also points out that there’s still lots of room for sponsor logos on the RockPod!